Need to use up those russet potatoes? Need a solid side dish that will pair perfectly with just about any meat? 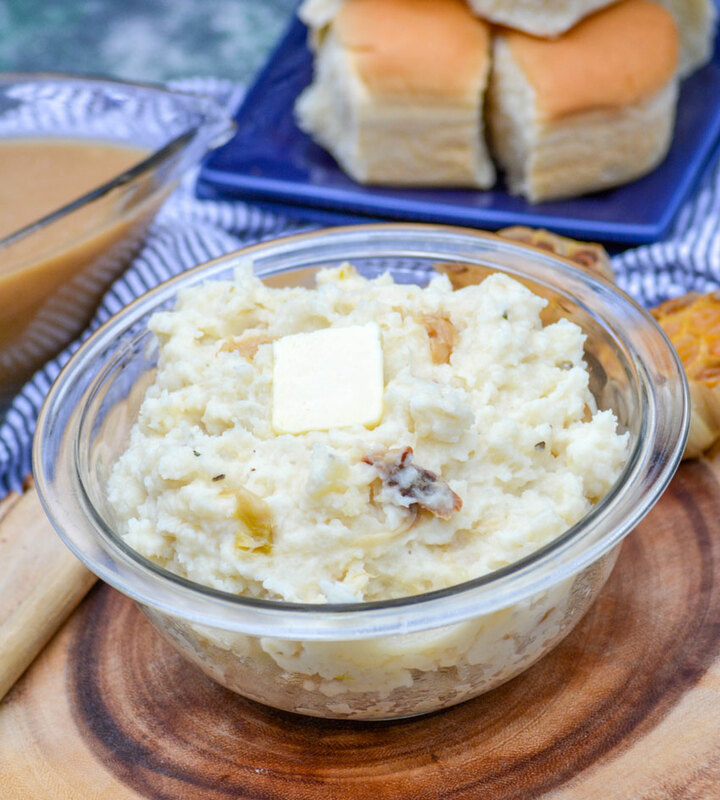 These Creamy Roasted Garlic Mashed Potatoes are the very best way to make homemade mashed potatoes. Studded with freshly roasted garlic cloves, and whipped with rich cream it’s the best way to kick up your side dish game.